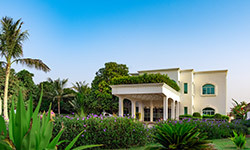 Take a relaxing Spring break and let the green surroundings of Al Nahda Resort & Spa soothe your soul. Explore our April Exclusive offer starting OMR 40 plus taxes. Offer valid for April 2019 only.